If I was a betting woman, I’d put a good amount of money down on the fact that anyone reading this right now likely has an old, ratty white T-shirt buried at the back of their drawer. What was once a cute going out top then turned into a sleep shirt, then a workout top, and finally something you wouldn’t be caught dead in unless you were maybe painting your living room (completely alone, that is). But instead of putting it out to pasture, why not give it new life by way of a fresh dye job? While learning how to dye clothes may feel like an intense undertaking (and, it’s worth noting, there are professionals out there who will do it for you) it’s actually a whole lot easier than it seems. 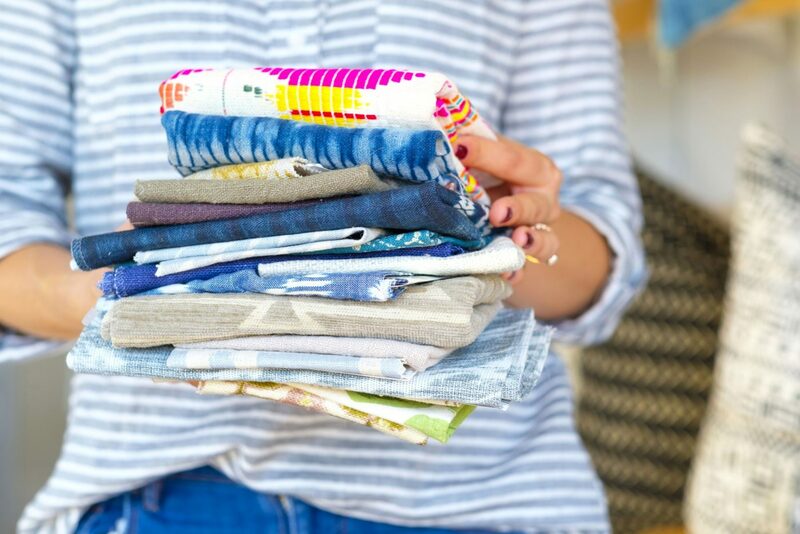 Think of it as the grown-up version of summer camp tie dye projects you loved as a kid, but with patterns that actually turn out the way you want them to. 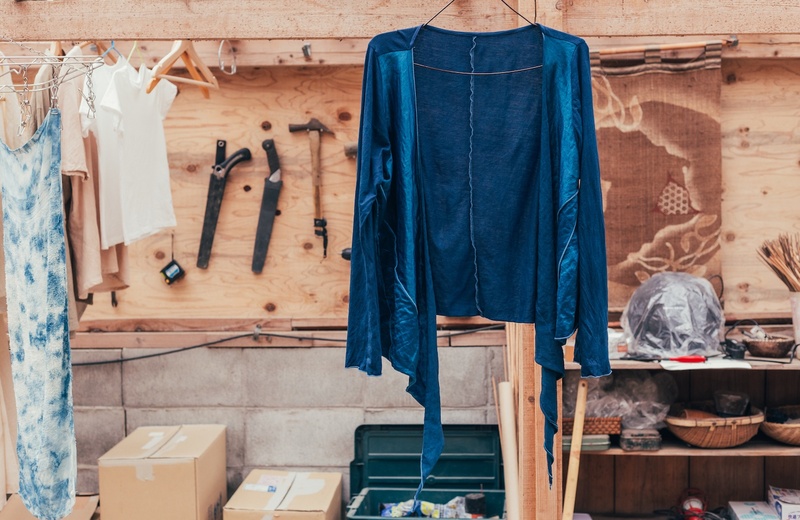 And not only will DIY dyeing help you create an entirely new wardrobe for yourself for like, $0, it’s also a sustainable (and chic) way to hold on to pieces that might have otherwise ended up in the garbage. 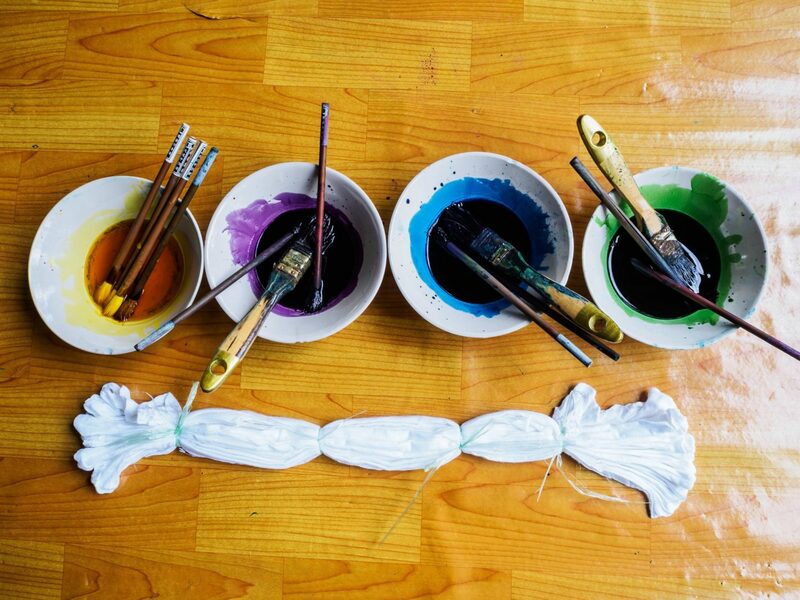 If you haven’t so much as thought about dipping your hands into a pot of dye since those Camp Mataponi art classes, not to worry—I tapped a real-life dye expert John Breining of NYC’s Metro Dyeing to share his tips on how to dye clothes. Cotton: Go for it. Live your best tie-dye life. Nylon or Rayon: These are synthetic, but happen to be very porous so they tend to take dye well. Plus, they won’t shrink. Silk: Silk dyes well, but tends to shrink, pull, and lose its luster in the process. Linen: Linen dyes well, too, but may leave you with a little bit of shrinkage. Wool: Wool can handle dye just fine, but you could wind up with excessive shrinking and pilling. Once you’ve made sure your fabric is A-OK for a dye job, you then need to make sure you wash it (especially if it’s never been washed before). 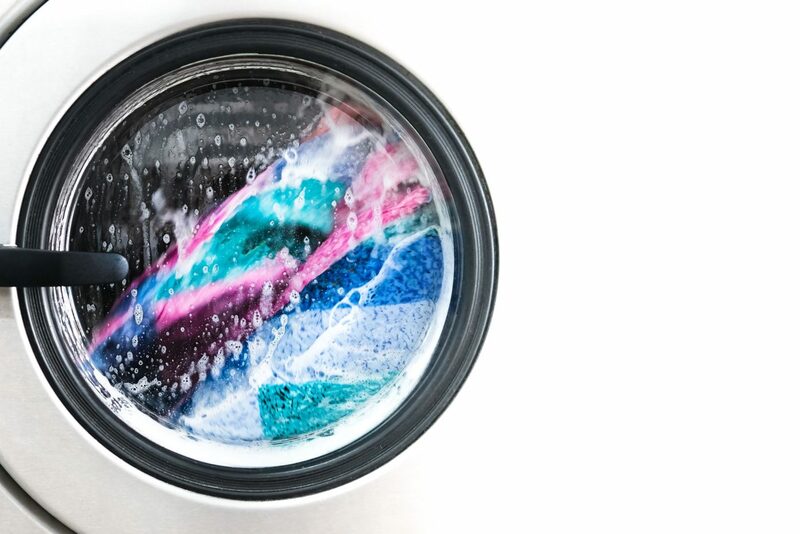 “Prior to engaging in the dyeing process, we recommend that you put your garment into a washing machine—there does not need to be any detergent—on a warm, gentle cycle,” says Breining. “That’s to see how it reacts to water and how it reacts to the agitation of water. 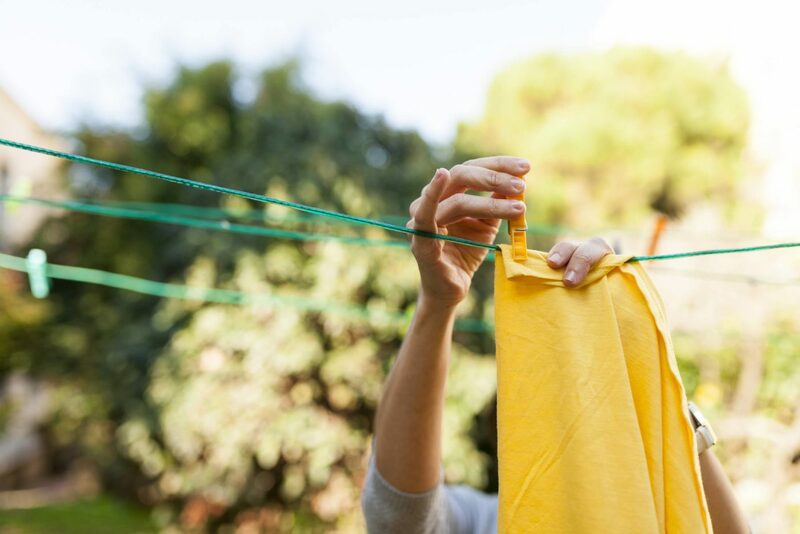 If your textile has never been washed before, then to attempt to dye a garment for the first time, you may experience excessive shrinkage.” Afterward, hang-dry the garment, and try it on to make sure it fits the way you want it to. Then, you’ll be good to go with the actual dyeing process. Instead, he suggests opting for Rit Dye, which is certified non-toxic and will get the job done consistently and effectively every time. 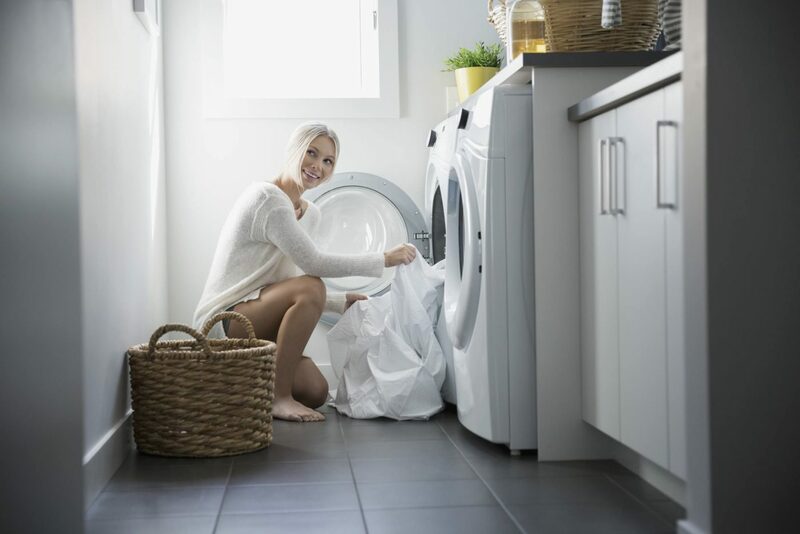 The washing machine method: Wet your fabric and place it in the washing machine. In a cup, mix your dye with four cups of very hot water and stir well. In a separate container, if you’re dyeing a natural fabric like cotton or linen, dissolve one cup of salt in four cups of very hot water. If you’re dyeing silk or nylon, mix a cup of white vinegar with two to four cups of hot water. 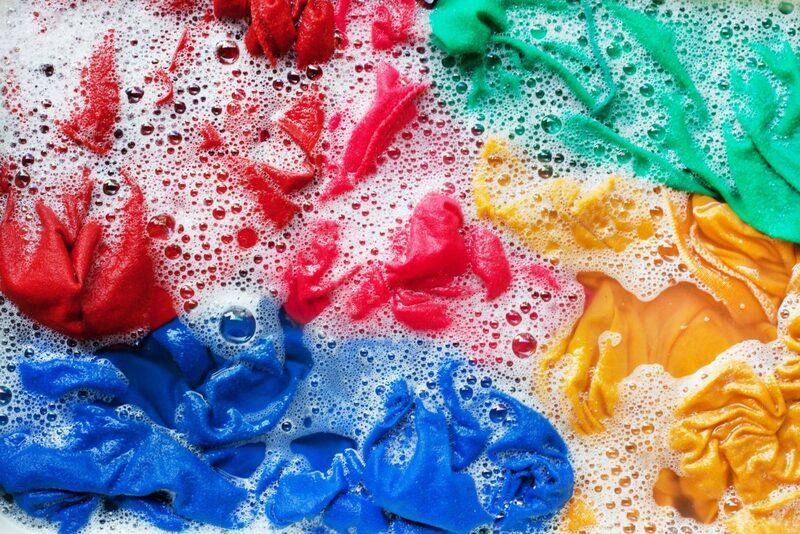 Add a teaspoon of dish detergent to the container, remove the detergent cup from detergent tray, and pour your dye solution into the dispenser. Then, pour the salt or vinegar solution. Flush the dispenser thoroughly with four more cups of hot tap water. Then, wash for 30 minutes on the hottest possible temperature. The stovetop method: Fill a pot with enough water that your garment can move around in it, cover it, and heat to just below boiling. Follow the mixing directions on your box of dye, but when the water begins to simmer, add the dye solution and mix well. Next, add the garment, and keep things at a low simmer. Stir slowly and continuously, paying close attention for the first 10 minutes (which are the most critical in the process). Clothing can hang out in the dye-water for up to an hour, but how long you keep it in there depends on what type of fabric you’re dying. When it appears to have reached your desired color (keep in mind that it looks slightly darker when wet), remove and squeeze out excess dye. 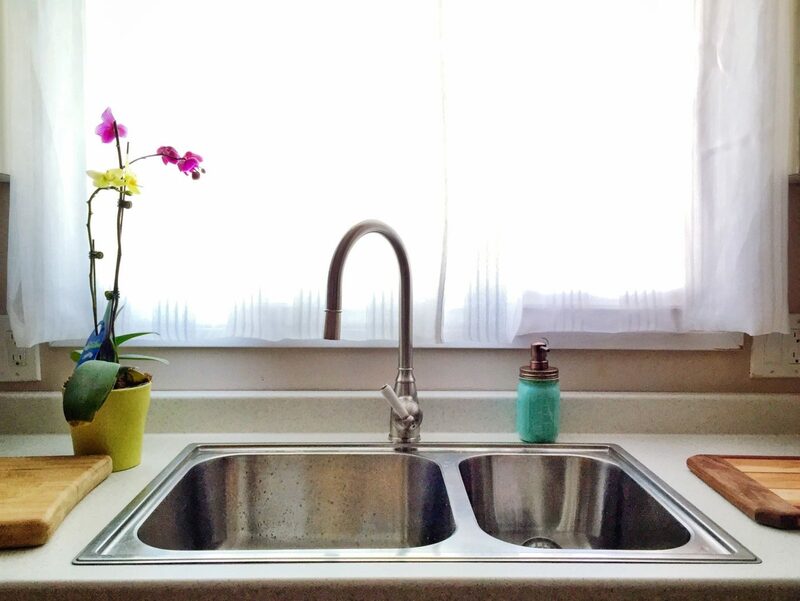 The sink or bucket method: Fill a container (AKA a bucket or sink) with water that’s approximately 140ºF. Follow the mixing directions for whichever dye you’re using, then add to dyebath and mix well. Test the color with a paper towel—if it’s too light, add more dye; if it’s too dark, add more water. Wet your garment, then add it to the dye bath. Stir slowly and continuously, especially for the first 10 minutes, because stirring can help even color with no weird splotches. Keep it in there for up to 30 minutes until desired color is achieved, and then remove and squeeze out excess dye. The final step in your home dyeing process is to do a very (very) good rinse. “We have a rule when we dye: If you can drink the water when it’s done—not that we recommend doing that, and we don’t—but when you can drink the water when it’s done, that means that the colors are fast and you’re good to go,” says Breining. “So if you dye something at home and you rinse it and there’s dye in the rinse, keep rinsing. Don’t stop until the water is clear and you could drink it.” Keep in mind that the higher the temperature of the water you use when you’re rinsing, the more the color will adhere to the fabric, so try and keep it as hot as possible for this part of the process. This one’s an easy step: Pop that puppy in the washing machine in warm water and mild detergent as a way to ensure the dye takes hold. And that’s pretty much it. When you’re done, Breining suggests hanging your garment out to dry for best results. Et voila—an entirely new and colorful way to wear your ratty white tees, and anything else you just can’t bear to throw away. We’re all about that tie-dye life, which is why we’re currently wearing it on everything from our workout leggings to our sheets.